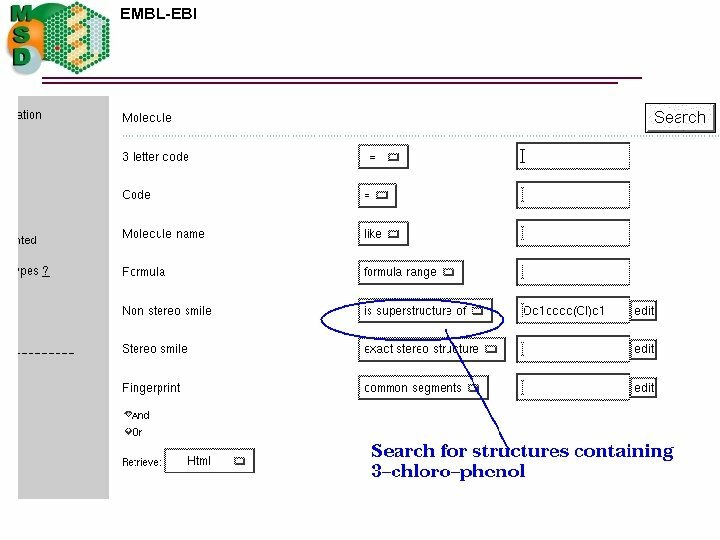 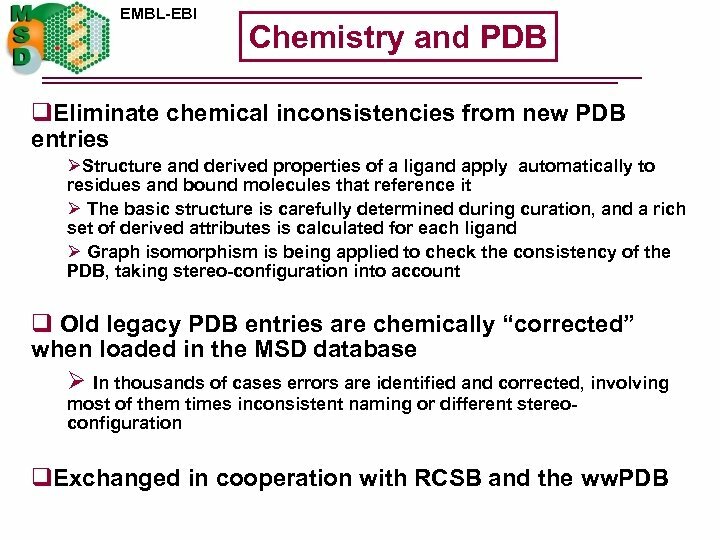 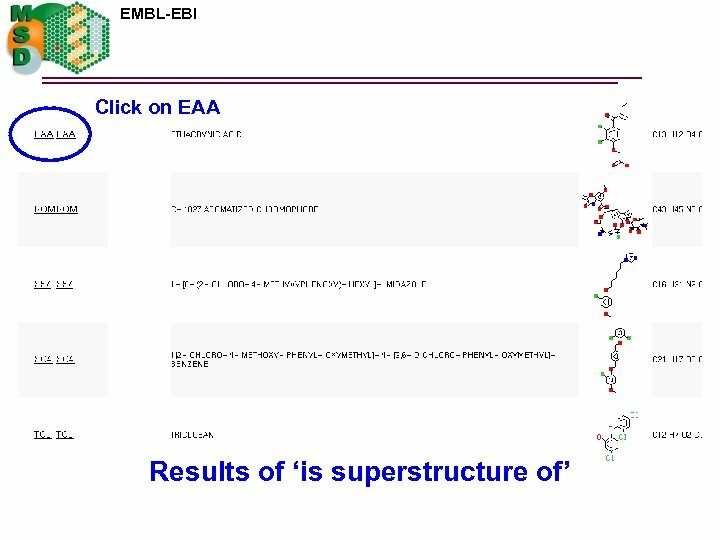 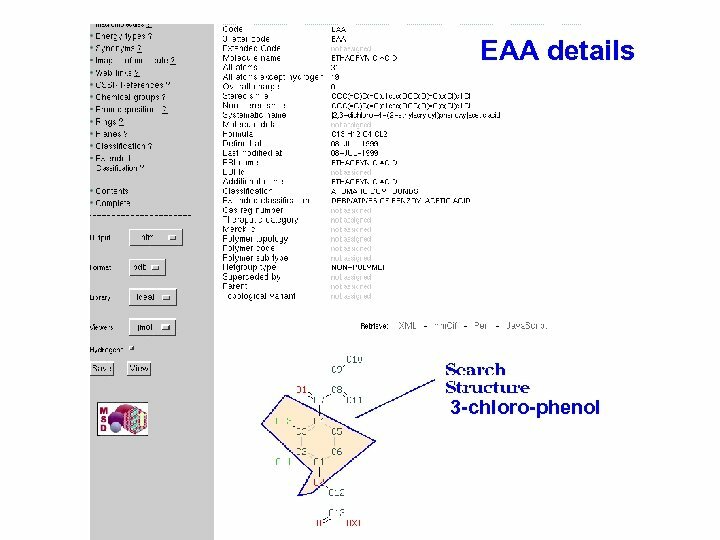 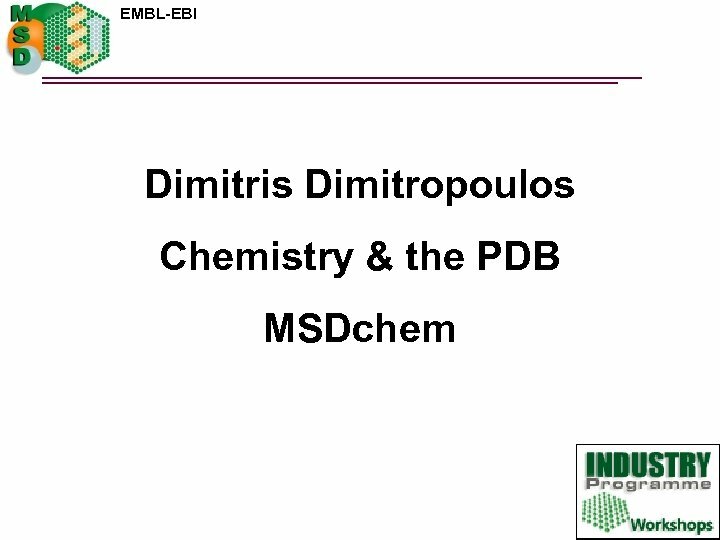 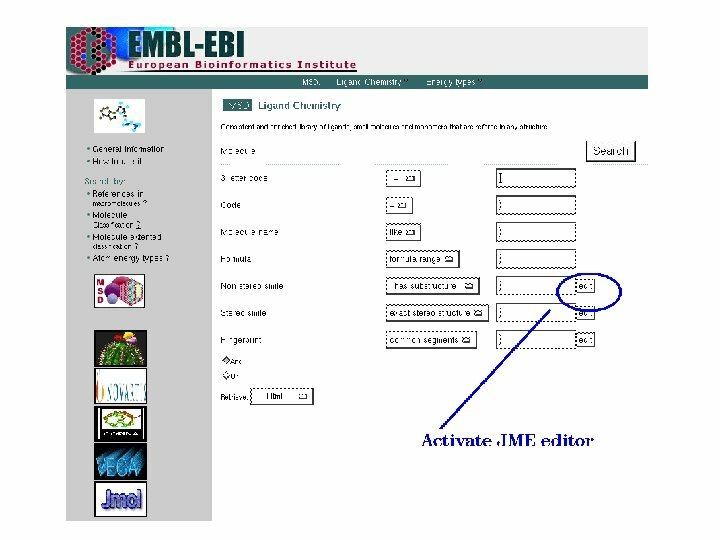 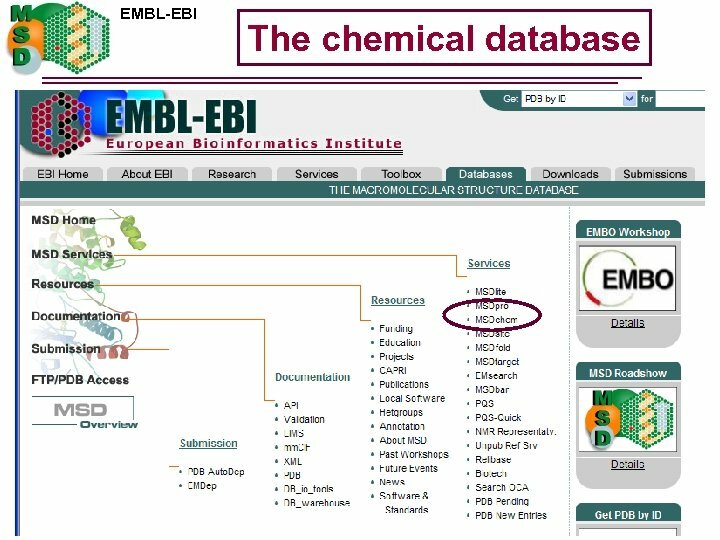 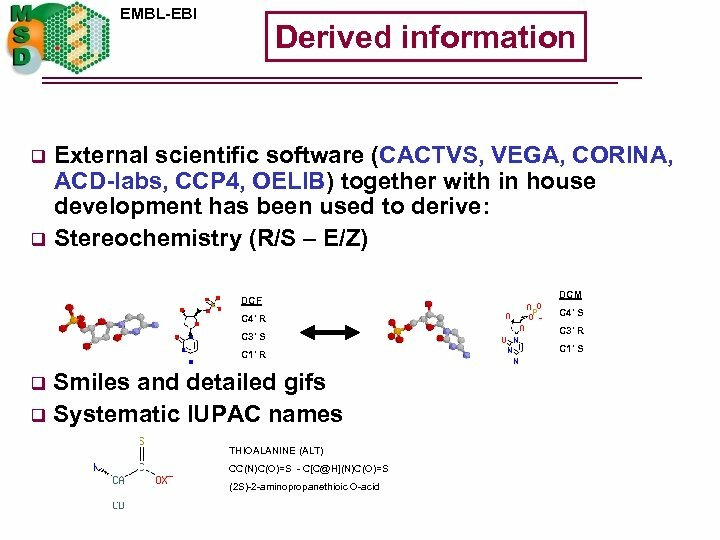 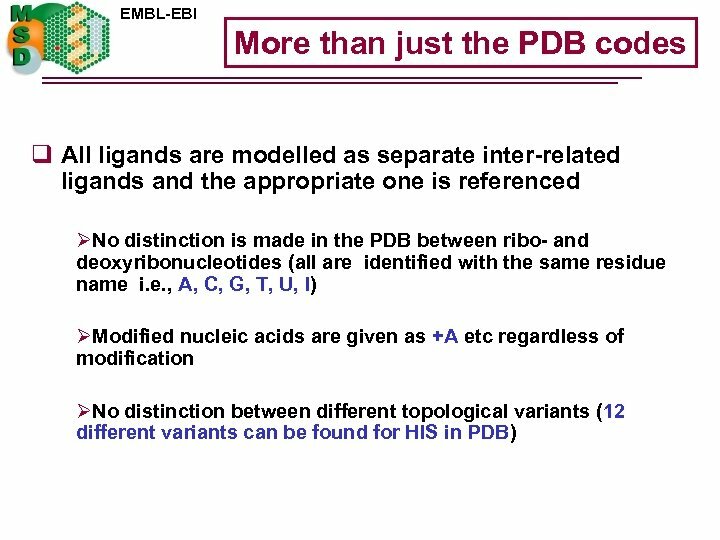 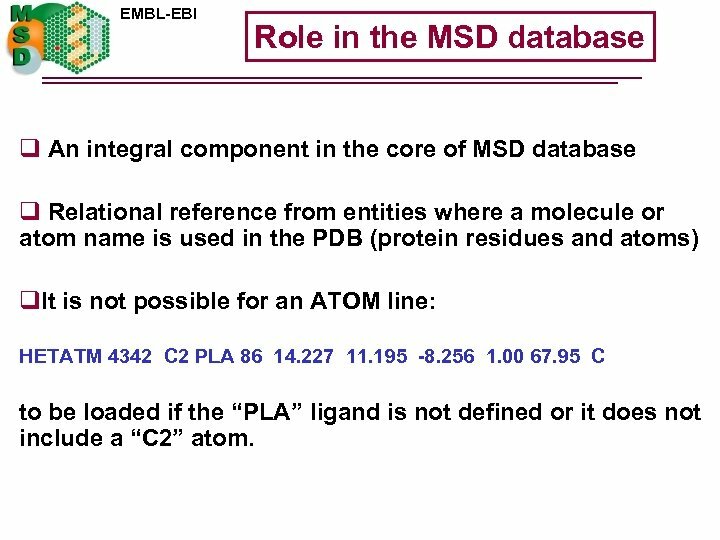 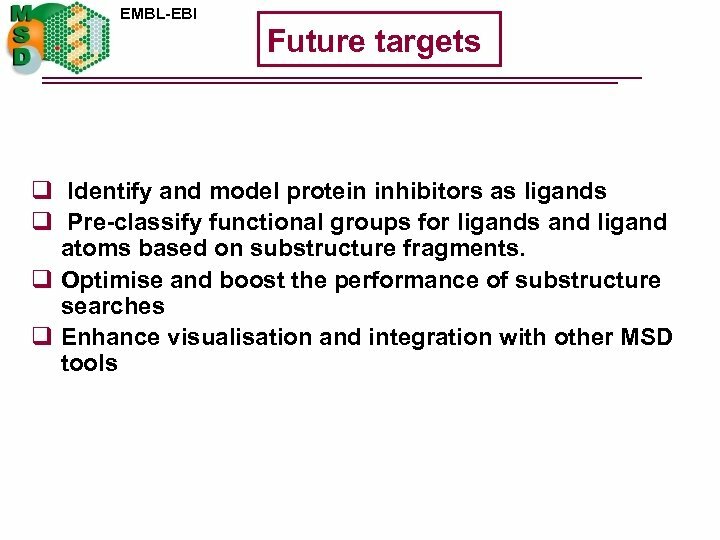 EMBL-EBI Role in the MSD database q An integral component in the core of MSD database q Relational reference from entities where a molecule or atom name is used in the PDB (protein residues and atoms) q. 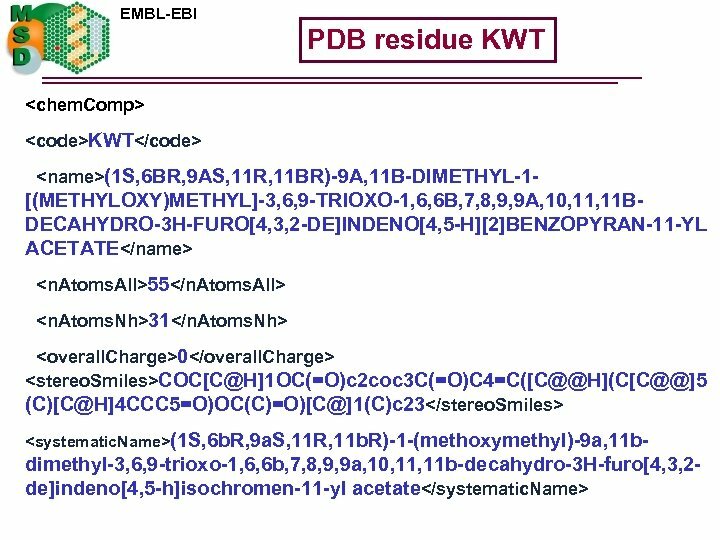 It is not possible for an ATOM line: HETATM 4342 C 2 PLA 86 14. 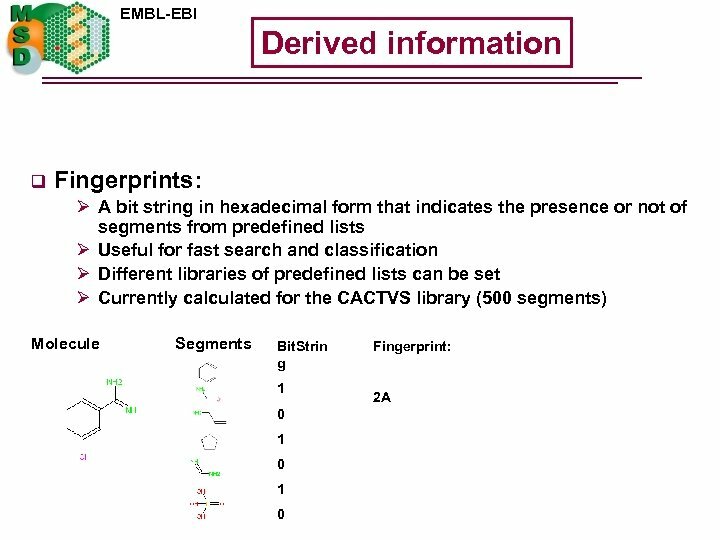 227 11. 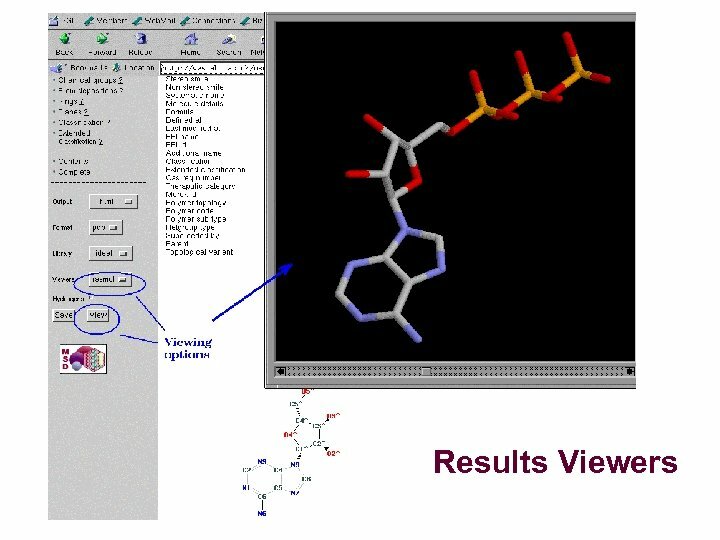 195 -8. 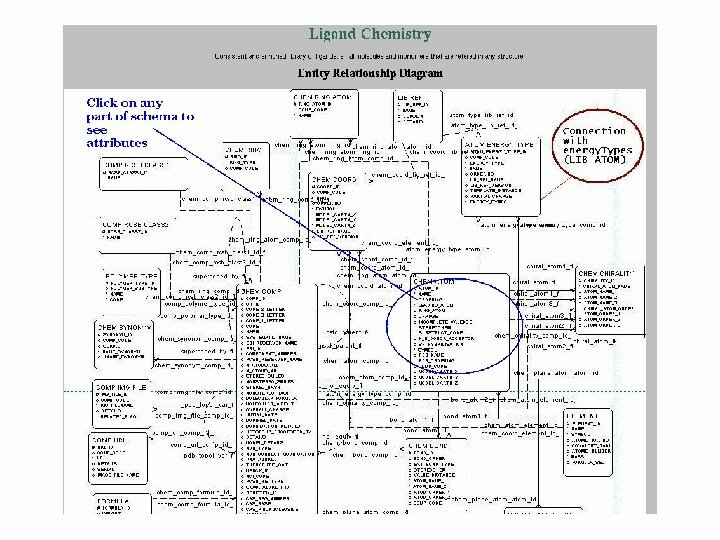 256 1. 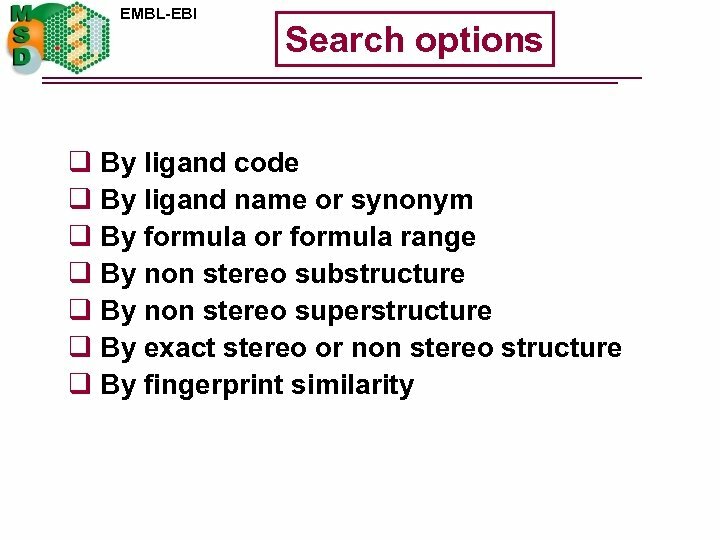 00 67. 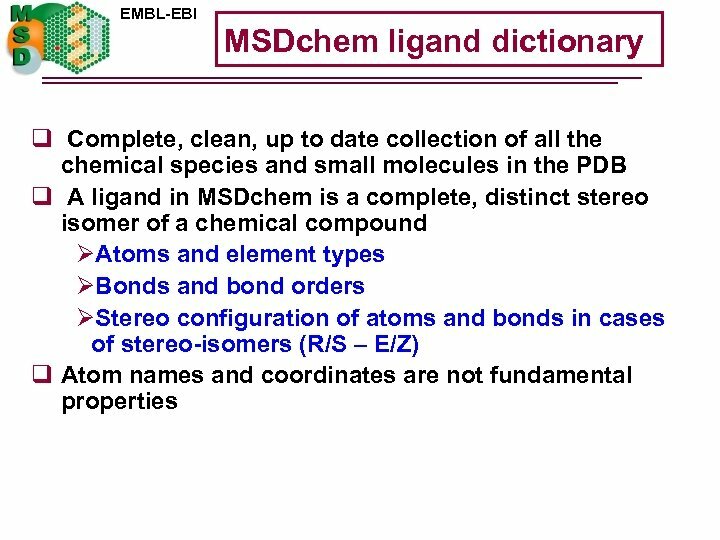 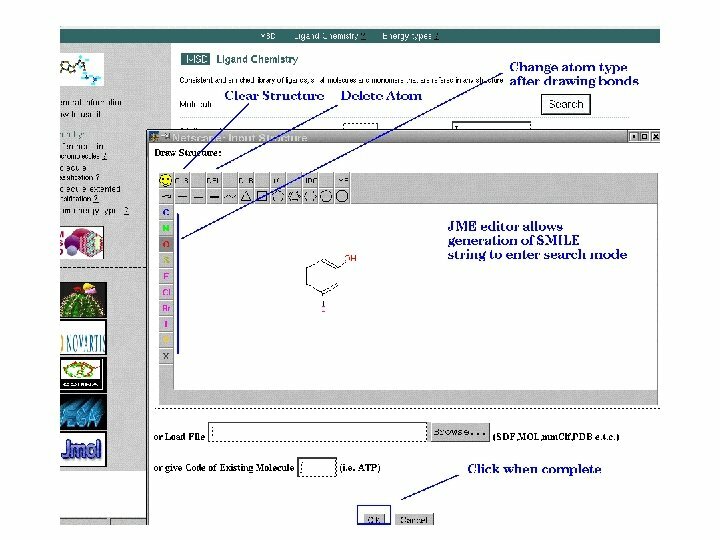 95 C to be loaded if the “PLA” ligand is not defined or it does not include a “C 2” atom.